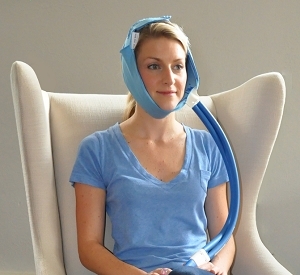 The Hot/Cold Jaw Cooler System uses compression and thermal therapy for reduced swelling and pain of the jaw and face. The Hot/Cold Cooler provides the maximum benefits of ice and heat during your recovery, Hot/cold-compression therapy helps to reduce swelling and pain, prevent muscle spasms, and preserve skin elasticity for improved soft tissue healing. 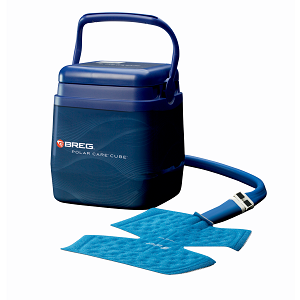 Hot/Cold Cooler therapy is a simple system that is standard in orthopedic care. This is for the cooler only. Do you already have pads? Do you need to replace a broken cooler? Select this option for the purchase of the pumping cooler only. 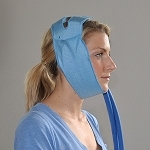 Look here for the complete Hot/Cold Jaw Cooler System with splitter, Jawbra, and pads. Cryotherapy is a form of therapy in which cold is used to control swelling, inflammation and edema. Simply put, the cold temperature limits the blood supply to the effected area of the body, thereby controlling the swelling, inflammation and PAIN. 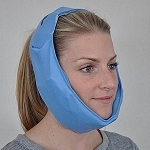 Traditionally, patients resort to bags of ice or frozen peas that cannot sustain a therapeutic temperature and have to be taken on and off every 30 minutes to prevent tissue damage. The system can also provide heat therapy to reduce pain and relax tissues, by simply using hot tap water instead of ice. This system uses near freezing water circulated through a channeled bladder to deliver the therapy.. Due to it's unique construction, the continuous wear of the pad poses no risk of soft tissue damage to the patient when used correctly and not over-tightened.. This type of therapy is most effective in the first 48-72 hours following surgery or trauma but can provide pain relief for much longer. This system is, without a doubt, a patient favorite! Insurance: Cold-compression therapy primarily provides enhanced comfort for patients following surgery and is rarely covered by insurance. We provide short-term rentals of the cooler unit to make this treatment affordable. For longer term use or to purchase a system, call us at 1-800-206-8381 for pricing information.